A look at the 13th green at Augusta National Golf Club. 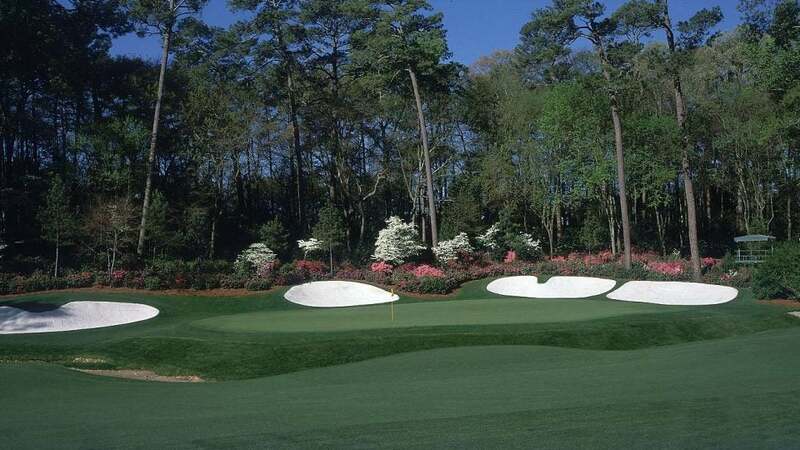 Augusta National is one of the most exclusive golf clubs in the United States and it's very difficult for a member of the general public to get a tee time. But it's not impossible. The most common way to play golf at Augusta National would be to get invited by one of the club's members. The club's membership roll is not public, but it's believed that Augusta National has about 300 members, and most are allowed to bring guests on select days of the season to play golf. Even without a connection to a member, there are still other ways to play the course. Volunteers who work a full week at the Masters are invited to an “Appreciation Day” each May, where they are allowed to play a round of golf. Credentialed media members who worked on-site during Masters week can also enter a lottery to play Augusta National the Monday after the tournament ends. Typically about 28 media members are chosen each year in a blind draw to tee it up. Augusta University's men's golf team gets to play the course once a year, and word is that club caddies, and Augusta workers, can tee it up once a year as well. But if none of these options are for you, hey, you can always become one of the top professional golfers in the world and qualify for the tournament. In lieu of a pro career, both the winner of the United States Amateur tournament and the runner-up are also invited to play the Masters the following spring.